Earlier this week the weather was so beautiful and with the girls and I being off school for the summer break we decided to pack up a bag and head down to the beach. We are so lucky to live within a short walk to our glorious sandy beach and will readily admit we just don't make the most of it! We went up after lunch so we wouldn't be needing anything but I did pack drinks and snacks along with our buckets and spades. 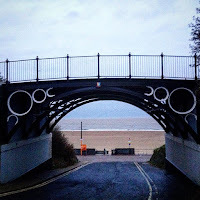 Gorleston beach is just 5-10 minutes walk away from Gorleston High Street and as well as amply FREE parking, there are also regular bus services for convenience. 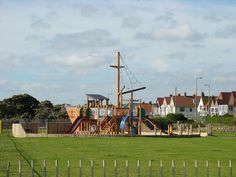 Gorleston boasts of a very traditional seaside with large green spaces and historical stairways and seating areas being preserved. 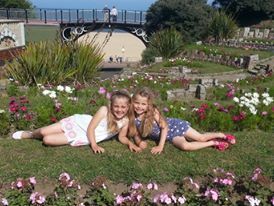 Along the clifftop you will find grassy bowl lawns, pitch n putt, tennis courts, children's play areas, trim trail, Victorian Gardens and basketball courts. Both the Upper and Lower promenades are favoured walking areas for locals, with little ones learning how to find their bikes and scooters, dog walkers, couples strolling along, runners (local ParkRun is hosted here) and family trips out. 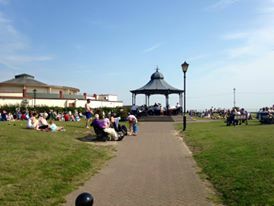 The Lower Promenade has some exquisite beach cafes, a small paddling pool, yacht pond and strip of ice cream and snacks shops, cafes and a small arcade. 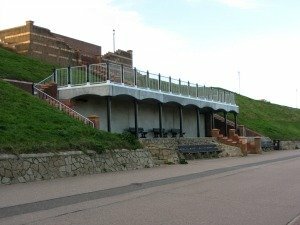 At the end of this strip you find the latest addition to Gorleston seafront, Porterhouse Restaurant and the steps ascending up to the Cliff Hotel. Follow the prom around from here you will find The Gorleston bandstand Gardens, The Pavilion Theatre, The Ocean Rooms, public Toilets and The Pier Hotel. Its also worth a short walk up the river to the RNLI Lifeboat station, where they welcome you in to have a look around. We made our way down the sandy beach towards the waters edge, Gorleston beach is rarely packed but I always prefer to set up near the sea as the girls like to paddle and look for seashells and sea creatures so this tends to be best for us. The girls and I then spent the next two hours looking for "Baby Jellyfish" which I have since found out are called Sea Gooseberries and are quite harmless and crabs. The girls found 8 crabs, they found that the area behind the break water, locally known as the "danger keep off" wall, was the best place to search, they scoured the sand looking for the tell tale bubbles popping on the surface, this indicates that there is likely to be a crab hiding just under the surface. They then walked up and down the edge of the water looking for Sea Gooseberries. We also came across this beautiful jellyfish but all made sure we kept clear and I notified a lifeguard who moved it safely out of the way and released it back into the sea further away. Then Emily spotted this little hidey hole along the edge of the break water, with a little trail leading into it, pretty sure that a crab was hiding away she waited for it for a while but he wouldn't come back out. It reminds me of something that might come from a children's fairytale! 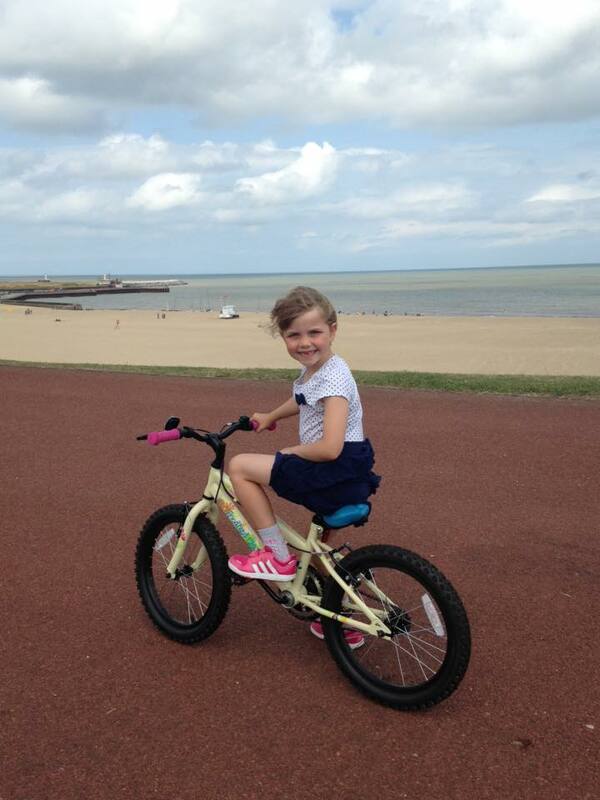 Once we had finished we headed to the public toilets as there is a tap outside to rinse off the sand before we headed home but not before a quick stop for ice cream first! Make sure you visit the local beach this summer. We are so lucky to have this right on our doorsteps. I can't wait until our next trip there.